It’s Spider-Man Day! New York City declared October 14 to be Spider-Man Day at last years NYC Comic Con. They also managed to break the world record for most signatures on a greeting card, as 2,707 wrote their names and well wishes Spider-Man’s birthday card. You can celebrate Spider-Man Day by reading his comics, watching his movies, or practicing your own Spider-Man moves – climbing buildings, swinging on lines, learning science, stopping bad guys, and, of course, witty repartee! Check out Marvel Comic’s Spider-Man page for more information on New York’s web slinging teenage superhero. 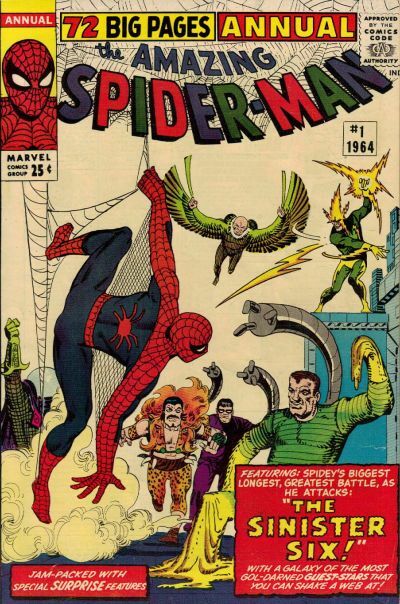 This entry was posted in Uncategorized and tagged October 2013, Spider-Man Day, Spiderman. Bookmark the permalink.